I’m Caitlin–daughter of the King, forgiven sinner saved by grace, wife, mama bear, joy-seeker, encourager, friend, DIYer, and village-builder. Motherhood is the hardest but absolute best job I have ever had, and I feel it is my life’s true calling! As I raise my children, I want to point them (and those who may be watching) to Jesus every step of the way. This is why I consider motherhood my mission. It’s not my full identity, but it’s part of who I am. I’ve been married since 2009 to my high school sweetheart. He is patient, supportive, and hands-down my better half. We got married in our early 20s after nearly 7 years of a long distance relationship, and shortly after our wedding we moved away from friends and family for his job in North Carolina. I have a degree in Elementary Education and ESL, and spent several years working in early childhood centers. I taught in Pennsylvania, New York, and North Carolina. I was the nursery team lead at my church for over 5 years, and have had the privilege of working with babies and small children most of my adult life. Being the oldest sibling and cousin helped, too! In 2014, we lost our first pregnancy to a miscarriage at 10 weeks, which devastated me. I felt my whole life had been preparing me for motherhood, and I was unprepared to experience that kind of loss. This part of my story still comes up and has shaped much of my view of motherhood since then. In 2015, we had our first child, Claire, after a very long but uncomplicated natural hospital delivery. She was perfect in God’s eyes and ours, and brought us so much joy. My transition to motherhood was wonderfully hard, but allowed me to truly experience God’s grace and mercy and what it means to be the mother of His child(ren). I struggled with postpartum baby blues, nursing pain, and a plethora of other unexpected transitions, despite my lifelong readiness for this job. 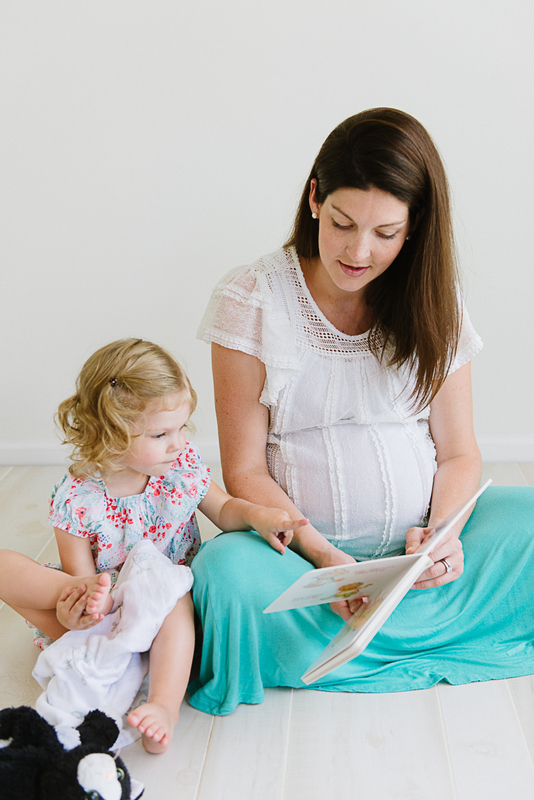 Through support groups, friends, family, and faith, I came to realize I have a passion for motherhood and connecting with others in this wonderfully challenging stage of life. In 2016, I had another very early miscarriage (some call this a chemical pregnancy) the day my niece was born. I wasn’t prepared to experience this loss all over again, so I kept it to myself for a long time. Thankfully, soon after, we got pregnant with Nora, who was born in 2017 after a whirlwind labor and delivery at the birthing center. The contrasts and similarities between the pregnancies, labors, deliveries, postpartum recoveries, and all around experiences will be an endless topic of conversation if enough people are willing to listen! I’ve said it before and I’ll say it again: motherhood is a journey, my mission in life, and the most wonderful job. I’m thankful for the opportunities I have to share my stories with others. Thank you for stopping by–and thanks for joining me on this mission!